Barnsley FC v Derby County. Derby County's manager, Paul Jewell, in charge of Derby County at Barnsley in August 2008, a few months after the Rams made history by being relegated from the Premier League with the worst-ever points total. Picture: Mike Cowling. 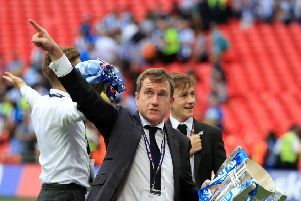 Paul Jewell appreciates more than most the considerable challenges facing Jan Siewert as the Huddersfield Town head coach looks to plot a path towards a brighter future from the wreckage of a truly dismal season. The Terriers became just the second club in the Premier League era to be relegated before the end of March when losing at the weekend for a 24th time. 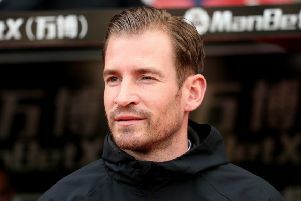 Huddersfield Town manager Jan Siewert applauds the fans after the Terriers' Premier League relegation is confirmed at Selhurst Park on Saturday. Picture: Isabel Infantes/PA. Defeat to Crystal Palace, coupled with victories elsewhere for Burnley and Southampton, meant Town joined Jewell’s Derby County in the top-flight’s ‘Hall of Ignominy’ by being relegated with a record six games still to play. Like Siewert, former Bradford City manager Jewell was parachuted into the Rams job after most of the damage had been done in the opening months of the season. Just like Siewert, he was unable to stop the slide as Derby went down with a whimper and just 11 points to their name. Huddersfield have already beaten that tally, but other unwanted records still beckon, including the lowest goals tally in a top-flight season. Derby scored 20 in 2007-08, two more than Town have mustered with a half-dozen games to go. “That time at Derby damaged me,” 54-year-old Jewell told The Yorkshire Post. “My stock was high at the time, but Derby was a real struggle. I know it is traditional for managers to downplay pre-season and say it is all about fitness and not results. But a relegated team cannot afford to do that. “It is funny, I bumped into Andy Todd at Doncaster against Bristol Rovers. He was already at Derby when I arrived (on November 28). We were talking about how bad things got. He admitted to feeling sorry for me coming into that situation. His exact words last Tuesday were, ‘Mourinho and Ferguson could have come in as a double act and it would not have ended any differently’. “I look back and realise I rushed into the job. A great football club with a great training ground and tradition, but totally out of its depth as a team. “I take some of the responsibility. I made a load of signings in the January, trying to give the supporters something. But none of the signings worked. I should have kept my powder dry and done all my transfer work in the summer. The wheels came off Huddersfield’s season last December. 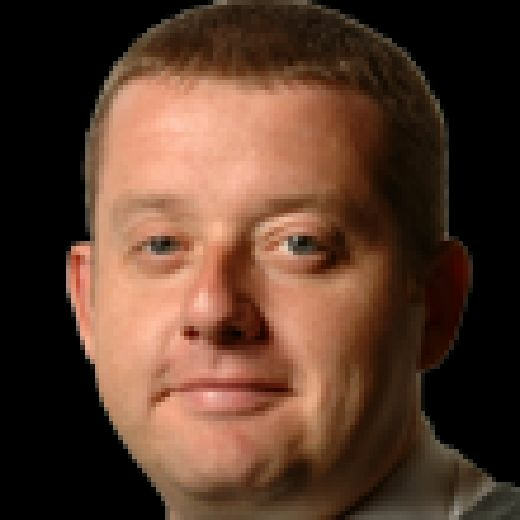 Seven straight defeats saw the optimism engendered by victories over Fulham and Wolverhampton Wanderers the previous month dribble away and culminate in the 1-0 defeat at Fulham that rounded off 2018. Such was the utter sense of dejection at the final whistle among the Town players, as Christopher Schindler stared vacantly into space and several of his team-mates slumped to the turf, it felt like the Terriers had lost a lot more than three points next to the Thames. Town looked broken and nothing that has happened since, including Siewert’s arrival in late January, suggests things have changed. “Losing games affects the manager like the players,” added Jewell. “You lose confidence. I remember being at Blackburn, around Christmas time. “Derby were 1-0 up, but then Steve Howard missed a penalty. The confidence drained straight away. Blackburn went up the other end almost immediately and equalised. Then, before I knew it, we were 2-1 down. “Huddersfield will be feeling like Derby were back then. They did brilliantly to get up and then stay up in that first year. “But this season has been really, really difficult. The Premier League has moved on since I was involved, but I am certain getting decent players to Huddersfield is just as tough as it was at Bradford and Wigan. “They will have been the last card in the pack. Players’ agents will have touted them everywhere before Huddersfield. I had exactly the same at Bradford and Wigan. It is a harsh reality, but a reality all the same. Siewert’s task is to ensure Huddersfield do not ape Derby’s sorry end to the season after relegation was confirmed. The Rams lost their final six outings and the hangover continued into 2008-09 when a four-game winless start dumped Jewell’s side at the bottom of the Championship. His reign never recovered, the Liverpudlian resigning shortly before the end of the year with Derby sitting 18th in the table. “Players get used to winning or losing games,” said Jewell, who twice stayed up on the final day of a Premier League season when in charge of Bradford and Wigan Athletic. “Look at Luton this season: they changed managers, but have carried on under Mick (Harford) where they left off under the previous manager (Nathan Jones). “It is about having a winning mentality. I look at Huddersfield now and think what will be really, really important is pre-season. “I know it is traditional for managers to downplay pre-season and say it is all about fitness and not results. But a relegated team cannot afford to do that. “I remember my first pre-season game at Sheffield Wednesday (in 2000). We lost to Chesterfield and all the doom and gloom came flooding back.